OSWEGO, NY â€“ On Aug. 15, at about 4:46 a.m., Oswego Police responded to a burglary in progress call at an East Seventh Street address in which the suspect was being chased from the scene by civilians. Upon arrival, police located the suspect who had fallen and injured his leg. The suspect was transported to Oswego Hospital and subsequently to Upstate Medical Hospital in Syracuse. Upon further investigation, it was determined that the defendant had allegedly entered an East Seventh Street residence and while inside stole several items including a laptop computer and a credit card. On Aug. 16, at about 3:45 p.m., Oswego Police arrested 19-year-old Joxuan Rivera-Retamar of 155 E. Third St., Oswego, in connection with the Aug. 15, burglary complaint. 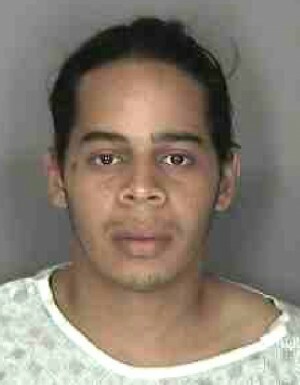 The defendant was arrested upon his release at Upstate Medical. He was arraigned later that evening on charges of second-degree burglary (Class C felony) and two counts of fourth-degree grand larceny (E felonies). Upon arraignment in Oswego City Court, defendant was remanded to Oswego County Correctional Facility with no bail and was given a court date returnable to Oswego City Court on Sept. 2. Love Oswego these days — come to my house !!!!!! !